Manufactured to BS EN 1492-2 and conform to "Machinery Directive 2006/42/EEC"
6. If the core material no break, no loss of strength from abrasion, there is a simple ness way, it is easy to differentiate to decide if the sling is taken away from service or not. 8. Clearly tag with serial number and a copy of certificate together with one sling. 9. Working temperature range: -40 -100. Easy to inspect and Low extension. 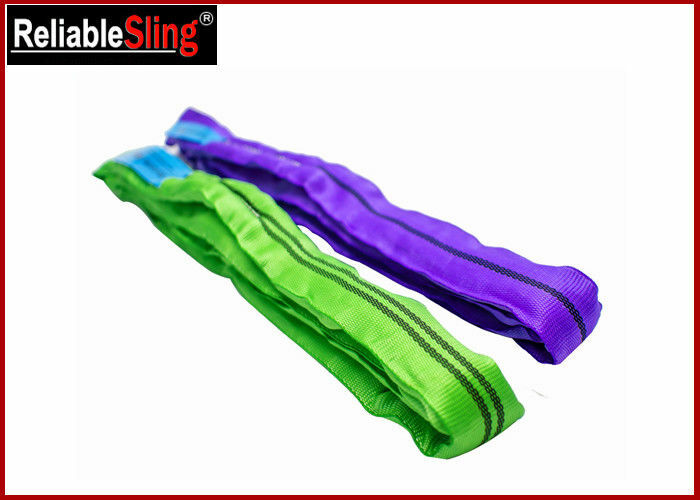 Do not use sling if there are any signs of cut webbing,heat or chemical damage, excessive wear, or other defects.